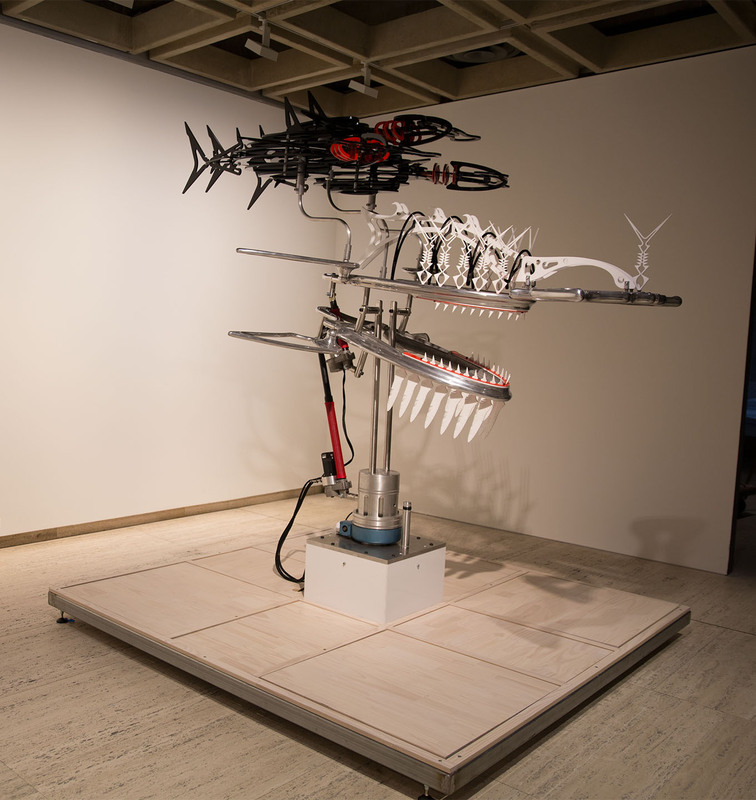 Beizam Triple Hammer Head Shark an artist collaboration between Ken Thaiday Snr and Jason Christopher. 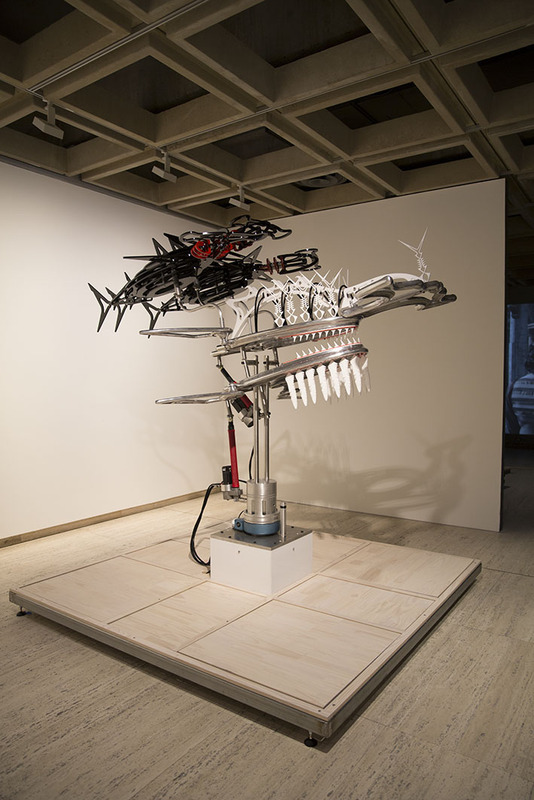 Ken Thaiday Snr and Jason Christopher initiated their collaborative relationship during the commissioning of “Clam Shell with Hammerhead shark 2013” by the Cairns Regional Gallery in 2013. Since then Ken and Jason have formed a strong artistic bond and friendship based on their mutual love and knowledge of the ocean and their respective creative pursuits. Finding common ground in their respect for the ocean, Ken and Jason have been able to successfully meld two very different art practices to produce works that are visually and conceptually ground-breaking. Ken’s work is a reflection of his culture as well as his adjustment to life outside of his spiritual birthplace of Erub. 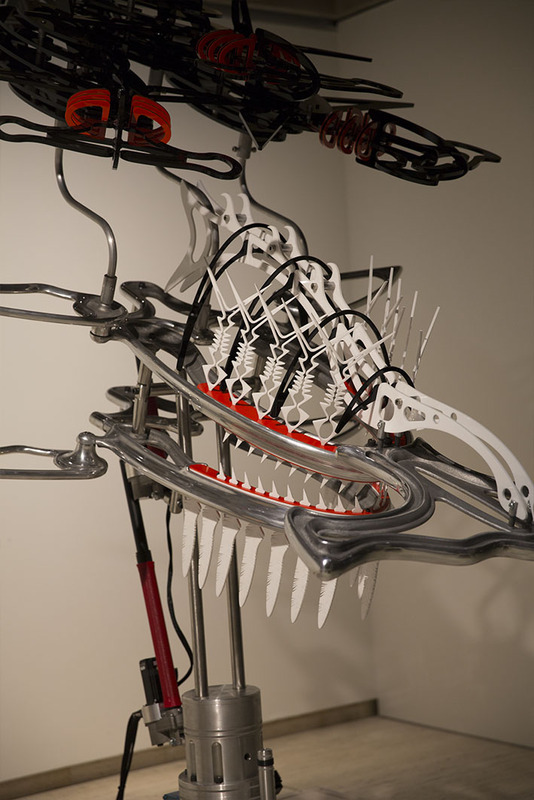 Jason’s practice is at the cutting edge of contemporary sculpture and pursues the use of technology to reflect the displacement of traditional practices as a consequence of automation. Their collaborations have enabled the creation of significantly cultural works whilst maintaining and respecting Torres Strait Island tradition. The melding of two diverse cultures has followed a long held tradition of collaboration that existed between the Torres Strait Islanders and their neighbours in Oceania. 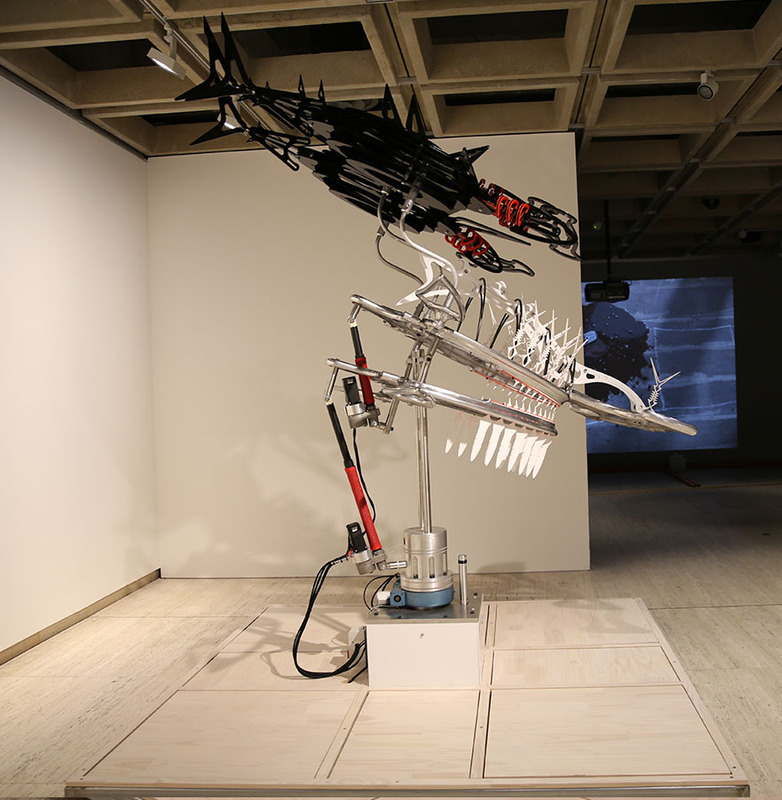 The introduction of new technologies, materials and automation by Jason signalled a significant departure from the hand manipulated works produced by Ken. The use of CAD, 3D printing and CNC machining has propelled Ken’s practice into the digital sphere. In Beizam, Ken’s totem the Hammerhead shark, is automated to move in rhythmic motion with his Beizam dance. 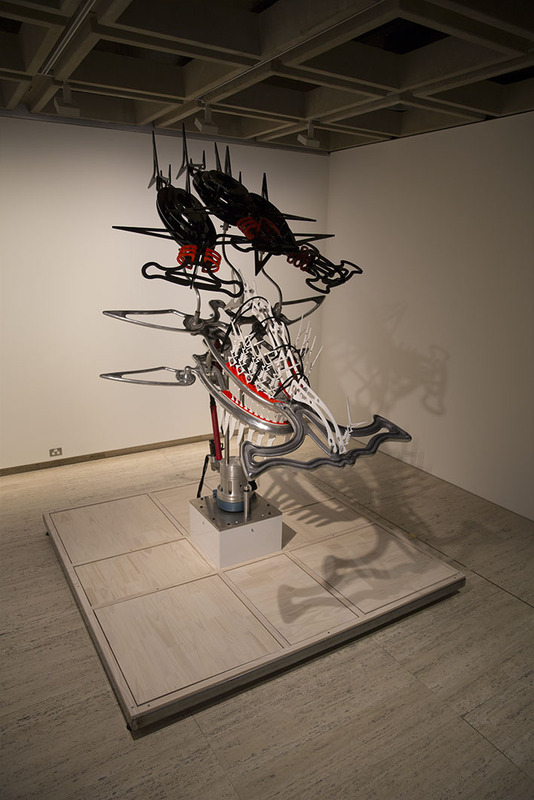 The shark headdress produced by Ken in various forms has been referenced and reimagined by Jason to adopt a new aesthetic dictated by the use of computerised systems. Working in close consultation with Ken, Jason designs the individual components in a CAD programme, before assembling them into the final design and animating the work. The individual components are then created, assembled and matched to a computerised automation system. The works produced serve to promote and preserve Torres Strait Islander culture as well as breaking down barriers between indigenous – non Indigenous cultures.